14 hotels with a sea view are waiting for you in the Bay of Cancale. Western part of the Mont-Saint-Michel bay, Cancale Bay offers a seascape of wide sandbanks under a changing sky. It is a mecca for mussels and oysters. There are long sandy beaches and small coves in the rocky part of the coastline. 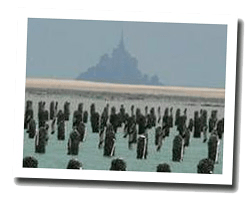 It is a pleasant place to stay between Brittany and Normandy, near Saint-Malo. 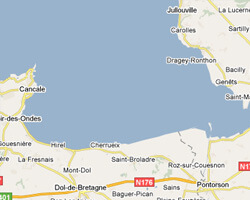 In Cancale Bay enjoy the pleasure of a sea view hotel.